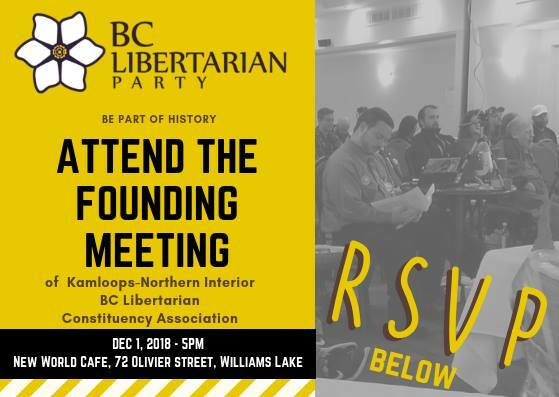 The founding meeting will be held at the New World Cafe in Williams Lake on Dec 1st, from 5-10 PM. The event will be free to attend for any BCLP party members, and we will be happy to sign up new members at the door. If you’re a liberty minded individual, we would love to see you at our Founding Meeting.